This question has popped up more than once, so I thought I’d share in detail what my work schedule looks like, and how I’ve managed to cope with working night shifts for over a decade. I’ll also pass on some sleep strategies that apply to everyone—even you lucky ducks who don’t have to work through the night. When people learn that I’ve toiled as a zombie drug dealer (a.k.a. night shift hospital pharmacist) for a dozen years, their eyes widen. Well, believe it or not, I volunteered for night shift duty. And not just because I’m a big dummy. After earning my doctorate in pharmacy (waaay back at the turn of the century), I landed my first job as a newly-minted pill-pusher at the busy teaching hospital where I still work. I loved the challenge of being a clinical pharmacist, but the unpredictability of my shifts was a source of constant frustration. A week or two before the beginning of every month, I’d get a new work schedule to learn when I was expected to make the long drive from San Francisco down to the hospital. Some days, I’d start work in the wee hours of the morning. Other days, I was tapped to work in the evenings or overnight. With the random fluctuations in my ever-rotating schedule, I rarely got two days off in a row. Despite being newly married and the proud new owner of a house, I spent most of my weekends in the hospital instead of fixing up our home with my husband. Making plans with friends and family was a nightmare; I had no clue if I’d be free until I received my latest work schedule. There were times when I didn’t know if I could attend a friend’s wedding until a couple of weeks before the big day. No bueno. So when a night shift pharmacist position opened up at the hospital, I threw my hat in the ring. I’ve never been a night owl, but I craved the stability and certainty of working graveyards: seven night shifts in a row, followed by seven days off. Rinse and repeat. When I got the job, I was elated. I could plan out the rest of my life FOREVER! I could once again make reservations at restaurants more than two weeks in advance! I only had to work every other week! If I took a week of vacation, I’d actually get THREE weeks off in a row! The drawbacks? I’d have to work every other weekend, as well as all holidays that fall during my work week. (Example: I’ll be working every Christmas Day until 2019.) My shifts would be longer (ten hours). I’d have to sleep while the sun’s out and everyone I know is awake. Oh, and every two weeks, I’d be forced to become a creature of the night. I’ll be honest: flipping from days to nights every seven days is physically tough, and I’m perfectly aware that it’s hazardous to my health. I know that working nights messes with my circadian rhythm and has been linked to a whole host of ailments. 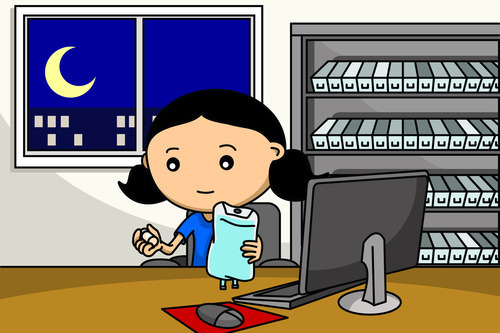 There’s a higher incidence rate of cancer, obesity, and diabetes among night shift workers. We also tend to be groggy and grouchy. “It’s like you’re flying to the other side of the world for work every week,” Henry says. And it is. Every week, my body suffers jet lag when I make the switch from diurnal to nocturnal, and vice versa. I don’t have the luxury of a long recovery time, either; as soon as my work week is over, I immediately shift into full-time mommy mode. But for now, the schedule works well for me; I enjoy my job, and it allows me to spend lots of time with the people I love. Plus, my paycheck helps pay for the important things in life, like food and clothing and shelter and Instant Pots. And hey—who else can call herself a food blogging, zombie drug dealing, app developing, cookbook writing mother of two? That’s a badge of honor, folks. Besides, if I find myself too stressed out or unhealthy to keep all these balls up in the air, I can always run away to a tropical island and leave all this behind. In the meantime, how do I make the best of this situation? (3) eating clean while I’m working. 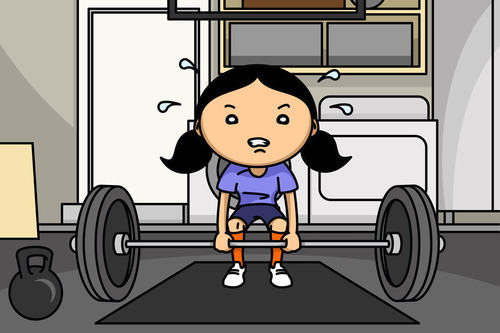 Self-discipline isn’t always fun, but it’s essential. If I didn’t force myself to follow a rigid routine, there’s no way I would’ve lasted long in my job. My workweek always starts on Wednesday night, so the day before, I always try to shop and cook in bulk to make sure our fridge is stocked for the week ahead. Sadly, I’m not very organized, and my meal planning tends to be a bit on the haphazard side, but I do my best to plan our dinners at least a couple of days in advance. Then, I hit the sack no later than 11 p.m., and shoot for a solid 8 hours of sleep. 7:00 a.m. – Wake up. 7:00-9:00 a.m. – Get the kids fed, dressed, and ready for school/camp. 9:00 a.m. – Go to my CrossFit class, and try not to die. 10:00 a.m. to 12:00 noon – Run errands/cook. 1:00 p.m. to 3:00 p.m. – Blog and/or cook. 3:00 p.m. to 6:00 p.m. – Take a nap. 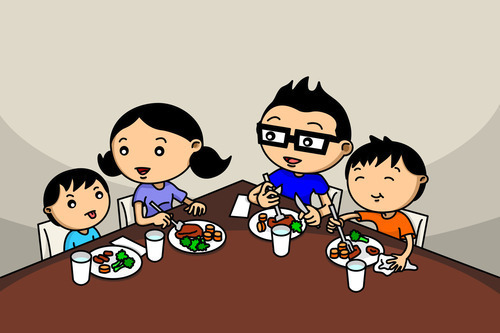 6:00 p.m. to 7:30 p.m. – Make and eat dinner with the family. 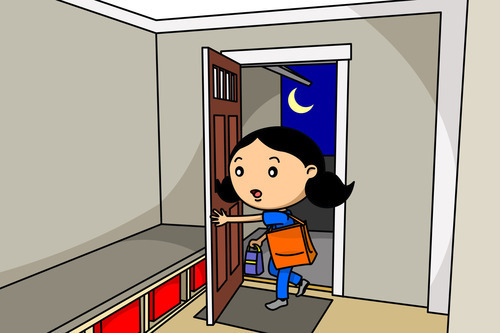 8:00 p.m. – Tuck the kiddos into bed. 8:00 p.m. – 9:00 p.m. – Blog, get ready for work, and down a cup of coffee. 9:30 p.m. – Arrive at work and start slinging drugs. 4:00 a.m. – Eat my packed lunch at my desk. 7:30 a.m. – Put on my sunglasses and head out into the sunlight for the drive home. 8:00 a.m. – Arrive home in time to take the boys to school/camp. 8:30 a.m. to 10:30 a.m. – Blog like crazy, catch up on social media, grab a light meal (e.g. eggs, leftovers, etc. 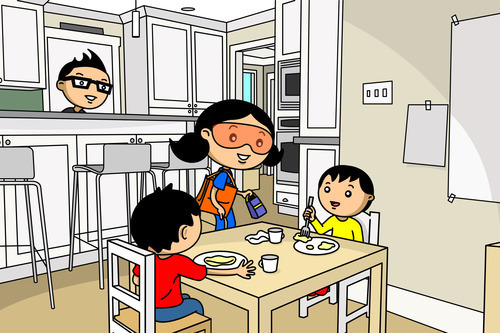 ), do some meal prep for dinner (e.g. chop veggies, toss food into the slow cooker, etc. ), and get ready for bed. 10:30 a.m. to 6:00 p.m. – Sleep. Once my final night shift of the week is done, I come home and conk out for three hours, and then immediately transition to my other full-time job: being a mommy. That night, I invariably face-plant in bed by 9 p.m. (after taking a melatonin supplement). I find that sticking to a consistent schedule helps reduce my stress levels. I don’t have to scramble to deal with the unexpected, or freak out because I’m going to bed too late. My routine helps me stay bright-eyed and bushy-tailed when I’m awake. Sleep like you mean it. 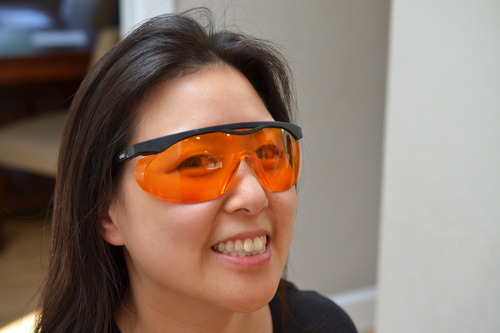 Then, when I get home, I immediately throw on a pair of amber goggles to minimize melatonin suppression. (I like to wear these amber goggles over my regular glasses.) On most mornings I work, I also take a melatonin supplement before heading to bed. If you’re working nights, I can’t stress this enough: GET GOOD SLEEP. It’s your number one priority. 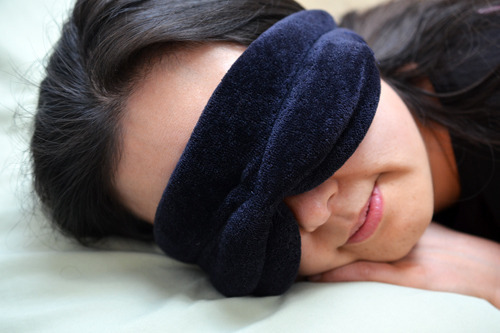 Aim to get at least 7 hours of UNINTERRUPTED shut-eye. That means going to bed on time. That means arranging for someone else to pick up your kids from school/camp in the afternoon. That means no one is allowed to wake you UNLESS THE HOUSE IS ON FIRE or SOMEONE NEEDS AN AMBULANCE or RYAN GOSLING IS ON YOUR DOORSTEP AND ASKING TO USE YOUR BATHROOM. I’m dead serious. While I’m asleep during the day, the kids are someone else’s responsibility. Sleep deprivation isn’t an option. Without adequate rest, I don’t just feel like a soggy sack of crap—I also run the risk of making a mistake at work that could impact a patient. So I make my bedroom a cold, quiet, dark cocoon. All electronic devices are banned from my bedroom. Yes, even my beloved iPhone. Sunlight will shine through flimsy curtains and force its way through the tiniest of crevices, so I have blackout shades. * In years past, I’ve even lined the bedroom windows with aluminum foil. Then, as soon as I climb in bed and remove my not-nerdy-at-all amber goggles, I put on an eyemask to block out any remaining light. I stick soft plugs in my ears so I won’t hear the kids shrieking out in the living room. Then, I sleep like the dead. Or at least I try to. No matter how much I prioritize sleep, though, I know that my nocturnal schedule isn’t exactly great for my health. Because my sleeping patterns are a hot mess, I need to make sure my nutrition is completely dialed in. Many of you know that I didn’t start eating Paleo until June 2010. That means I worked nights for a full DECADE while stuffing myself with low-fat, high-carb, grain-heavy meals. I suffered from GI distress, constant hunger, achy joints, a muffin top, and low energy—all ailments I blamed on working graveyard shifts. “It’s like this for everybody who works at night,” I told myself. But once I went Paleo, all these physical symptoms disappeared. Now, during my work weeks, I eat like I’m on a Whole30 (or, more accurately, a “Whole7”)—except for a nightly piece of dark chocolate and a splash of heavy cream in my coffee. My meals at work usually consist of packed leftovers from dinner or a container of emergency protein with a side of reheated frozen vegetables. At work, I drink water (sparkling if I’m feeling fancy) and a small cup of home-brewed kombucha. I now find it infinitely easier to switch from diurnal to nocturnal every seven days—and as an added bonus, I’m also much nicer than I used to be on my Flip Day. My kids don’t have to walk on eggshells around me anymore. In the past—before I followed my own advice above—I had trouble falling and staying asleep during the day. 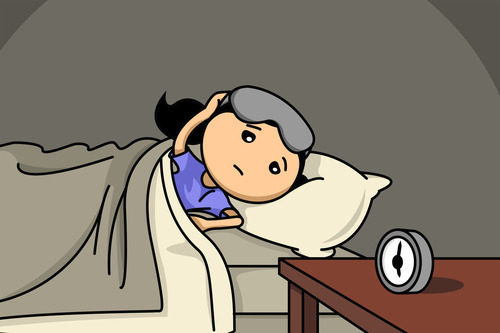 I tried prescription sleep aids, but they gave me rebound insomnia and/or left me groggy. These days, a low dose of over-the-counter melatonin helps, but I’ve found that wearing my trusty amber goggles and banning my iPhone and iPad from my bedroom has had the most positive effect on my sleep. Getting decent sleep has a side benefit: I don’t need more than a single cup of coffee to perk me up before the start of my shift. No more caffeine jitters! If I have time after dinner, I’ll do a set of deadlifts, swing a kettlebell, or do body weight exercises in the garage gym before getting ready for work. But I don’t attend CrossFit classes when I’m working nights or if I haven’t caught enough Zs. Working against my circadian rhythm is already stressful enough on my body; there’s no reason to add stress to my body with a WOD that’ll have me seeing stars afterwards. Laundry, housecleaning, and exercise can wait. Working nights is already taxing on your body, so whatever you can do to keep your cortisol levels low is a good thing. Remember your priorities: sleep well, eat clean, and don’t stress. Before I had kids, working night shifts wasn’t a big deal—but it became much more logistically challenging once Big-O and Lil-O burst out of my uterus. During my work weeks, when I’m sleeping the day away and Henry’s at work, someone needs to be at home watching the kids. Someone conscious. Enter the grandparents. Both sets live in the San Francisco Bay Area, and have gamely taken turns herding our children from school to home to bass guitar lessons to kung fu classes. My mom and dad spend the first two days of my workweek with us so they can help out with the kids, and my in-laws do the same during the last two days of my workweek. That leaves the weekends, when Henry plays Mr. Mom. Yes, it can be exhausting for everyone involved. But the beauty of this arrangement is that the boys get to spend quality time with their grandparents and their dad—and I sleep better knowing that the kids are in good hands. In summary, do you best. Although I’ve shared with you what works for me, remember that your mileage may vary. Over the years, I’ve tinkered with ways to make working graveyard shifts (while parenting and cooking and blogging) as easy as possible for myself, but your situation may present a whole ‘nother set of unique challenges. And certainly, I’m not the last word in working night shifts. I’ve linked to this article from Amy Kubal before, but you should definitely check it out if you haven’t read it. And while you’re at it, listen to The Sisson, too. Wanna learn why sleep is so important to good health? Get Dr. Matthew Walker’s illuminating book, Why We Sleep. 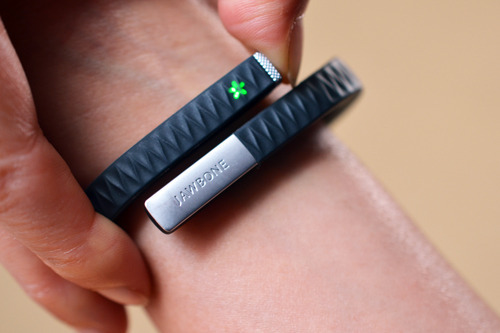 Wanna see my latest and frequently updated list of recommended sleep gadgets? Check it out here. Okay, gang. Gotta run. Off to another night shift!